so jumped out to grab a smoothie this afternoon and caught some awesomness happening at The Galeries Victoria at Town Hall. 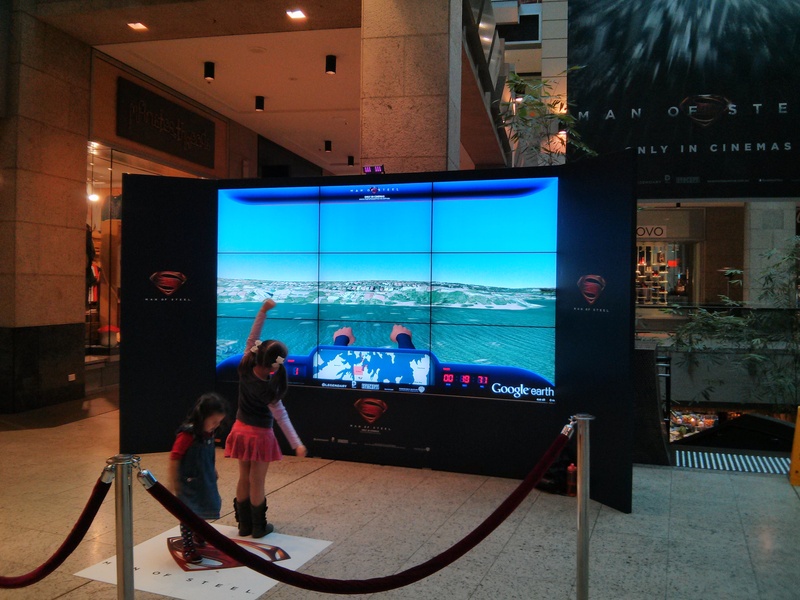 the Galeries have teamed up with Warner to promote Man of Steel by letting people fly over Sydney like Superman, courtesy of Google Earth technology. simple, cool, and fun for all involved.